The PHP programing language has been part of web development for over two decades and has been a foundation for web development as other programing languages appear then fade away. You will find PHP is the heart of many popular applications like WordPress, Drupal, Joomla and SugarCRM. With the release of PHP 7 and it’s extreme performance increases we find PHP’s popularity on the rise again. Helping PHP’s renewed popularity is support from the Laraval framework. Laraval is “the PHP framework for web artisans”. This is why OmniSpear has a strong PHP development team – we know the power of PHP, wether it’s customizing WordPress or creating data pipelines for line-of-business applications. With our expertise in PHP it makes sense that we would support the PHP industry. So, when Brian Retterer approached us about a new Dayton PHP Meetup group it was a natural fit for us to host their meetings. On May 17th we hosted the first Dayton PHP meeting here at OmniSpear. And what a great start it was! We had seven people in the meeting. Our guest speaker was Emily Stamey and she joined us via Google Hangouts. Emily shared her experience on working with North Carolina State University to “bootstrap” their legacy CodeIgniter project. Emily started the meeting by clarifying some terminology like “legacy software”, “spaghetti code”, “lasagna code” and “refactoring”. She then talked about the scholarship application and requirements they needed to comply to as the engaged the project. She emphasized the importance of surveying the application by studying the codebase and reviewing new feature requests then get user feedback. Emily talked about gaining user trust and always be honest with users about errors in the application. She covered setting expectations with the client, setting priority and scope of work. After covering all the planning topics, it was time to dive into the work. Emily started with importance of adding version control for their source code and end the bad behavior of developing in the production environment. Emily showed showed us the various software tool packages they used for testing their code, adding templates for front-end content, mitigating vulnerabilities and database management. Emily closed the presentation by summarizing what was learned and answered several questions from the group. 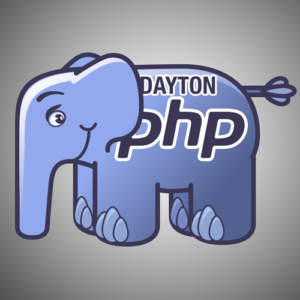 Brian Retterer has ambitious plans for the Dayton PHP group. For our next meeting he will be walking through a complete Laravel build, from start to finish. He plans to have “deep dive” workshops, training for real-world scenarios and industry leading guest speakers. Are you ready to learn more or get more out of PHP? If so join us for our next meeting here at OmniSpear. 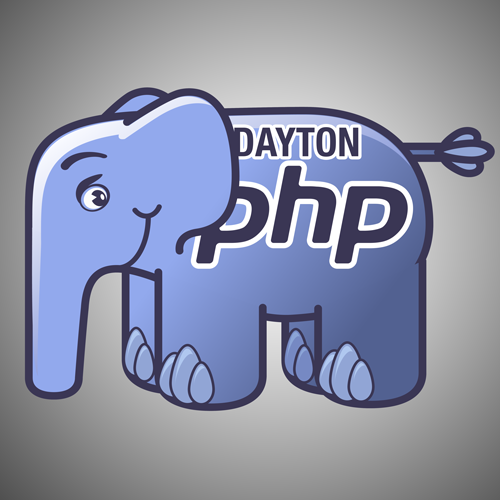 You will find more detail on upcoming content and date on the Dayton PHP Meetup page.